Funeral services for Sandra Sanders Jones, 74, of Edgewood, are scheduled for 4:00 pm, Tuesday, February 5, 2019, at the First Baptist Church in Edgewood. Burial will follow at Oak Hill Cemetery. Services are under direction of Hiett’s LyBrand Funeral Home. 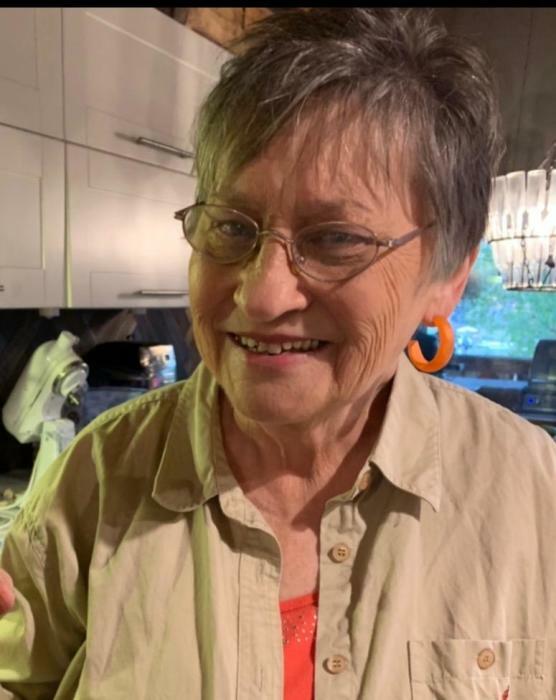 Sandra passed away February 1, 2019, in Tyler, TX. Sandra Sanders Jones was born December 16, 1944, to Elgin Sanders and Fern Turner Sanders. She is a lifelong resident of Edgewood, graduating from High School in 1963. She attended East Texas State University and Tyler Jr. College where she was a member of the Apache Belles squad team. She was employed in the insurance industry for a short time, but later was employed with Edgewood Independent School District for many years. She also loved working all the Bulldog sporting events selling and receiving tickets. Sandra had a love for all animals and her children referred to her as the unofficial veterinarian of Edgewood. She was a loving grandmother and never missed an event that involved her grandchildren. Sandra was a lifelong member of Edgewood First Baptist Church. She is preceded in death by her parents Elgin and Fern Sanders. Sandra is survived by her son, Kyle Jones and wife Lindsay of Van; daughters, Tami Winkelmann and husband Bruce of Hideaway Lake, Jill Phillips and husband Jim of Hideaway Lake; grandchildren, Nicole Webb and husband Caleb of Tyler, Sydney Dearick and fiancé Blade Healey, Jace Phillips of Hideaway Lake, Maci, Landry and Turner Jones, all of Van; and many other relatives and friends. The funeral home will be open from Noon until 6 pm Monday, if you would like to sign the register book. Family will receive friends at the church one hour prior to service time. In lieu of flowers the family requests that you make donations to the Canton Animal Shelter: 320 Arnold Paul Rd., Canton, TX 75103.